We cap off our Sydney Film Festival coverage with reviews of two films bound for cinematic release; a six hour epic; and a little-seen director’s cut. Walking out of Lav Diaz’s From What is Before was like stepping off a boat, as though I had forgotten the feeling of ambling across land. Running at nearly six hours without an interval, at the request of the director, Diaz’s latest foray into so-called ‘slow cinema’ is remarkable in how it shuts out the outside world, making time not only immaterial, but impossible to be sensed at all. Nuri Bilge Ceylan, speaking on his masterful Once Upon a Time in Anatolia, said he didn’t mind boring his audience, because in that boredom, transcendence can occur. However, From What is Before manages to eschew tedium, drawing heavily – almost too heavily at times – on narrative to lock its audience in an oneiric space, where memory, deceit and aging all become fitting thematic anchors. Reminiscent of Tarr in length and Akerman in stasis, with elements of Haneke’s The White Ribbon, From What is Before depicts a barrio community in rural Philippines, just before President Marcos’ declaration of martial law in the early 1970s. The film’s emotional core stems from two relationships: that of the young Itang caring for her disabled sister Joselina, and that of the child orphan Hakob and his avuncular guardian Sito. The experience of viewing the film is somewhat akin to visiting an art gallery: as Diaz composes endless static long-takes, his film becomes both emotionally tiring, and intellectually rewarding by forcing his audience to consider the details which subtly make up his frame. Since each scene, many of which consist of a single, meticulous black-and-white long-take, flows seamlessly to the next, the sheer length of each moment becomes almost desensitising; ultimately making the 340-minute epic feel like considerably less than its intimidating runtime. Diaz is a naturalist, which can be disorienting at first. There is no continuous soundtrack, meaning the sound is exclusively diegetic and synchronous; when there is a cut in the imagery, there is a cut in the sound as well. Yet this breed of elongated fragmentation is absorbing in its stark linearity, spanning several years but temporally playing like a dream. The film is best when leaving narrative strands ambiguous, leaving open an uncertain future for this beautiful landscape, and contrasting the ephemerality of life with the ceaselessness of time. SEE for a challenging perspective of family, adolescence and indivudality. The Wolfpack is billed as a biography, a drama, and a documentary, but in the same vein of 2013’s Blackfish, it is arguably a psychological thriller. Director Crystal Moselle introduces her audience to the claustrophobic lives of the eight Angulo siblings, who’ve spent most of their adolescent lives in a cramped Lower East Side apartment, in Manhattan. Their father considered the outside world to be a space of danger, ideological pollution and unnecessary social interactions; restrictions which have clearly affected both the Angulo siblings and their mother. The film documents the pivotal period of the teenager’s lives where they begin to break loose of their father’s grasp, and I don’t doubt Moselle’s interest in their story helped them realise the possibilities of the outside world. If you expect these children to be anti-social warlocks, you’ll be pleasantly surprised. They gel to the screen as if they were made for it, granting Moselle permission to explore their psyches, desires and quirks like a close friend. But this isn’t surprising when you consider how this stranger would have effected their lives; giving them a voice to an international audience when they’ve been silenced in a reclusive apartment, while showing interest in their lives and basically acting as a friend (with a camera). The siblings all agree that it is their mother who glues the family together, who was wooed by their father with his outlandish concepts on social norms and ‘hippie’ lifestyle, when evidently her life turned into the same nutshell routine as the children’s. It’s clearly difficult to control a narrative of a film such as this, as Moselle wavers through scenes of comedy, tension, reflection and relationships. But her triumph as a director here is her ability to maintain an unbiased gaze on a situation that first appears abusive and unconventional. She leaves the judgement to the viewer, and focuses just as much on the love within the family as she does the conflicts. *Tickets courtesy of the University of Sydney as part of Curiosity Season. Studio 54: a club synonymous with A-list celebrities, Columbian cocaine and the night before the sexual revolution sat panicked in a doctor’s office awaiting their HIV test results. Mark Christopher’s 54: The Director’s Cut presents a harrowing celluloid memory of New York’s most notorious nightclub, delivered through the perspective of bartender and Jersey teenager, Shane O’Shea (Ryan Phillippe). Originally released in 1998, the films stark portrayal of drug abuse and homosexuality was cut to appeal to a broader, commercial audience, but has been re-released in full length, premiering in Australia at the Sydney Film Festival this year. Based on the experiences of former Studio 54 bartender, Tieg Thomas, the initial conservative reaction to the film oversaw a “family friendly” version debut on screens, suffering critically for its cheesy portrayal of an iconic point in US culture. Thankfully things have changed since 1998 and the film has been properly restored, uncut and R-rated. From the opening scene of the film, ambient music and retro footage of glamourous socialites are jarringly interrupted by silent black screens, jutting erratically between contrasting images to mimic the pulsating heartbeat of the disco era. The beginning is paramount to capturing the paradoxical nature of the film. It leaves you excited and calm, erratic and stable, vibrant and jaded, with your heart racing so intensely that you remain completely fixated, still in silence, and watch a black screen utter “This… is a fucked up city at a fucked up time” with a husky Jersey drawl. The film’s exploration of raw sexuality tackles critical social concepts, touching on the absent depiction of male bisexuality in mainstream culture, intergenerational conflicts and the subversion of sexual gender roles at the turn of the decade to the 1980s. The film displays the emotional connection of homosexual relationships, rather than merely pawning them off as sexual experimentation and depicts women in dominating, if not domineering positions as sexual powerhouses prowling the glitter stained floors of Studio 54. Above all, Michael Christopher’s 54 is a search for meaning. It is a young man’s desperate movement away from what is phony, to find what is genuine in amongst the manufactured drugs, synthetic beats and artificial lights of New York City. Christopher’s exploration of the empty idealism that underpins the motivations of his characters touches on things universally experienced – a want of eternal youth, irresponsibility, lust and freedom, and cruelly destroys them shot after shot by the conventional realities of contemporary America in 1979. 54 presents an opportunity to experience the tension between fantasy and reality in Studio 54 to witness “an 80-year-old disco queen dance till dawn… models mingle with mechanics, plumbers dance with princes”. But what lingers constantly, in among the neon lighting, Amii Stewart’s “Knock on Wood” and bottomless chalice of champagne, is the expiration date that exists on any promise of a good night, in this case being the 146 minute duration of the film. Shane O’Shea’s journey is interwoven with the experiences of his best friend Greg (Breckin Meyer) and his wife and club singer Anita (Salma Hayek), as they each subvert their morality to advance in the glitz and glam industry of pseudo celebrity, the real focus of the film falls on the confronting performance of Mike Myers as homosexual club owner, tax cheat, deviant, and above all genius, Steve Rubbell. Myers does not act – he exaggerates. He takes his inner quirky persona and cool exterior and increases it to become the psycho-sexual, predatorial club owner, whose fetish for sucking (literally) the innocence out of his employees and voyeuristic endeavours amounts to international notoriety and a bed full of cash. And if the stellar cast isn’t enough, what’s a film without a brief cameo from Mark Ruffalo? Somewhere in between the lavish party sequences, Ryan Phillippe’s chiselled everything, and drug use on par with a tic tac addiction, the ending of the film leaves you feeling empty. The cathartic closing focused on re-established friendships and a return to morality isn’t intended to encourage a life of complacency or conservatism, but to leave you pining, nostalgic, for what happened behind the now permanently sealed doors of Studio 54. Christopher creates less of a feature film and more of a snapshot into the elusive depths of Studio 54, manifesting the potent sexuality and disco carnage that typified 1979. 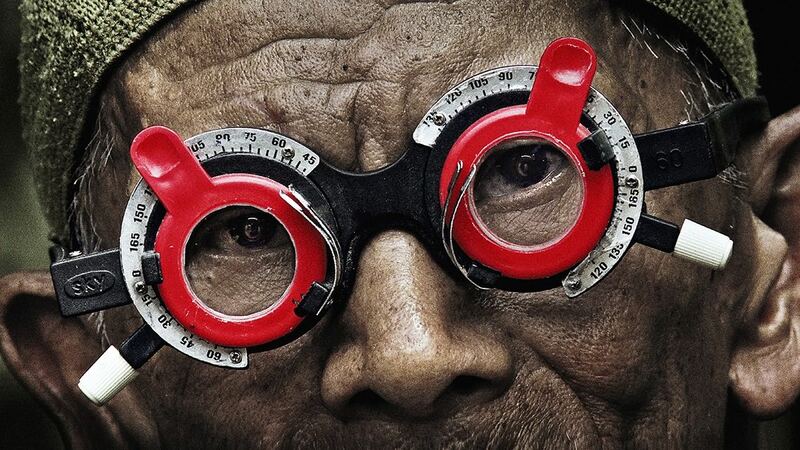 This film is a companion piece to Joshua Oppenheimer’s The Act of Killing, which received an Academy Award nomination as well as expected controversy, for it is the first film to openly discuss the post-1965 massacre of approximately one million alleged communists in Indonesia through the killers’ perspective. Contrasting with The Act of Killing, this documentary is set from the victims’ viewpoint. It tells the story of Adi Rukun, a man trying to make peace with his family’s past through seeking answers from the people who were involved in the murder of his brother as a part of the army-backed mass killings. Here, just like in Killing, we can still see the killers retell their methods of murder in a disturbingly gleeful manner, recounting their experience as a heroic one while all at the same time realising they were in a moral limbo. These accounts are contrasted with Adi’s understanding of the events as a victim; the way it affects his family and his view about life. Although his approach might be a little contrived, Oppenheimer was successful in bringing up questions and discussions about the notion of truth, the beliefs of right and wrong, and the idea that how history, which is written by winners, has the capability to silence the losers and rob them of their rights to dispute the narrative. Adi’s journey to search for remorse and apology from the perpetrators shows the attempt to break that silence of the victims’ communities. This attempt might not be completely successful – through identifying with Adi and seeing his interaction with the perpetrators who still hold influential positions in the society, a sense of impunity and powerlessness could be felt. Nevertheless, Adi’s bravery holds great significance in establishing a basis for reconciliation between the perpetrators and the victims, as well as a national conversation on the way the Indonesian history is accounted for.